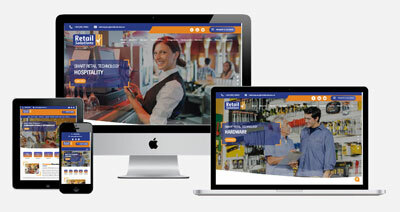 Western Webs were commissioned by Tuam based Retail Solutions to develop a website for their EPOS business. In addition, it would outline their range of Electronic Point Of Sales products and services. Western Webs would also set out optimise the website for key terms to maximise the online presence of the companies offerings. Retail Solutions are a leading provider of Electronic Point of Sale Systems to a nationwide customer base. The company have been in operation since 1995. As a result, they are an established market leader in the provision of Electronic Point of Sale (EPOS) systems within the convenience, supermarket, forecourt and other retail sectors. The company offer cutting edge software and hardware solutions with excellent customer service. They serve more than 1500 sites all over Ireland, plus they have an ever increasing presence in Australia, Scotland & England. The website is built on a WordPress platform, mobile responsive, optimised for fast loading performance and hosted in Ireland. Click to visit Retail Solutions website.